Join us on Satate Street and Capitol Square for holiday fun, great shopping, family shows and activities, trolley rides & welcome bags, plus special offers and refreshments from participating merchants! 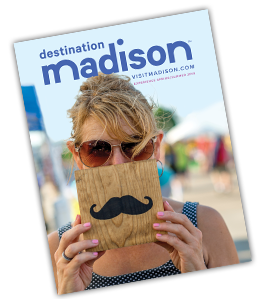 Our beautiful architecture, top-notch cultural venues, wide-variety of shopping options and our exceptional restaurant choices make Downtown Madison the perfect place to celebrate the season. Click on this page's Visit Website link for more activities and a list of participating merchants.